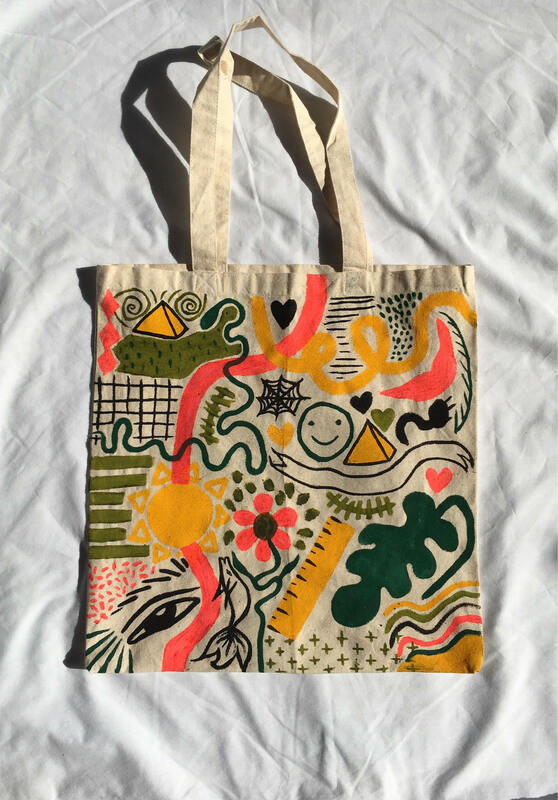 This listing is for one hand painted off white cotton tote bag measuring 15 inches tall and wide. It is a one of a kind art piece that was painted with fabric paint, which means it is machine washable (cold rinse only) and fade proof! 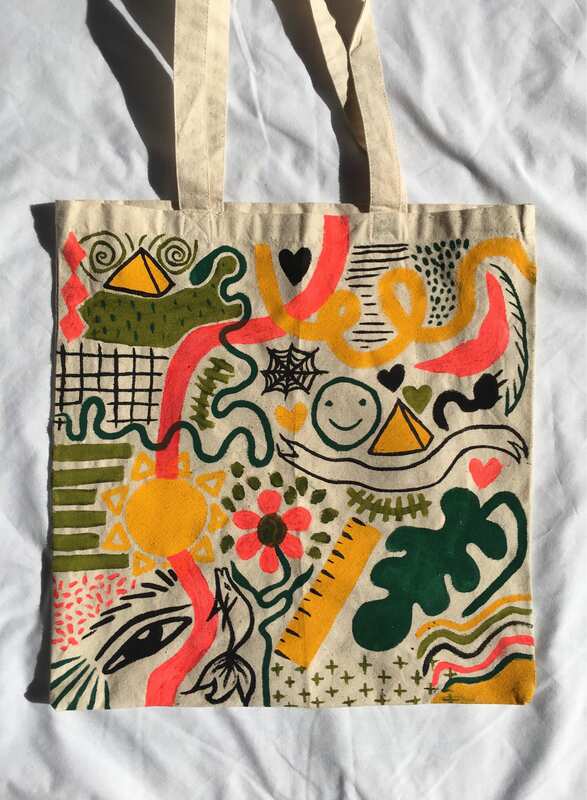 This particular bag was painted with black, fluorescent red, yellow and spruce green on an off white background and is a beautiful palette! 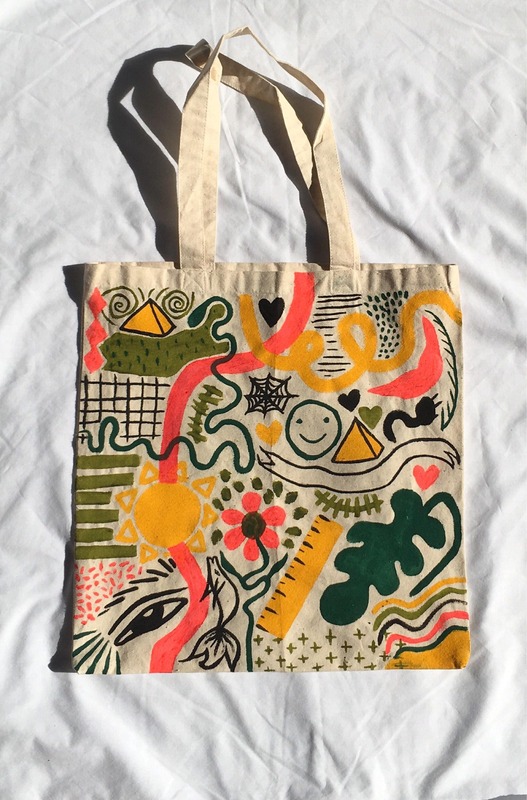 This bag is totally unique and is one of a kind!! 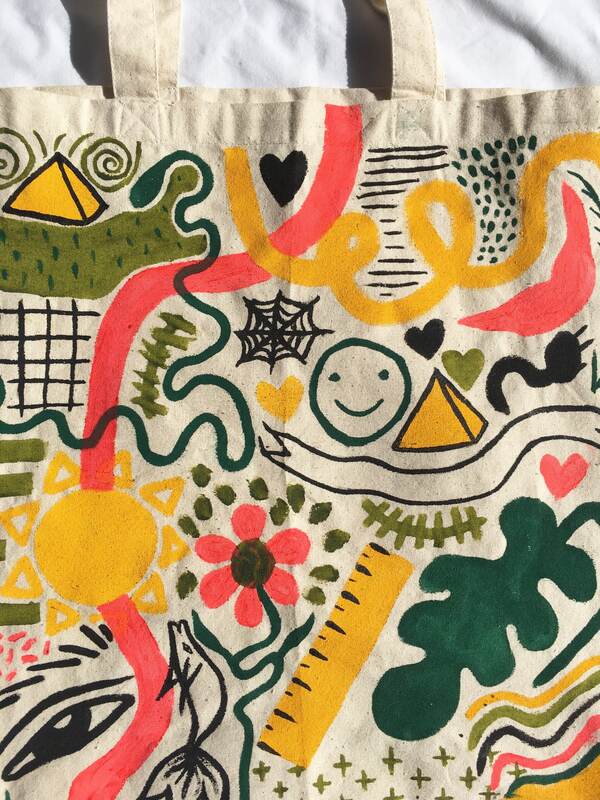 The tote bag is 100% cotton and is very cute.